Mrs. Bertha L. Moore of 104 Harmon Street, Valley, AL 36854 was born in Cusseta, AL. She passed at WellStar West Georgia Hospice at 4:54 PM on Sunday, March 24, 2019. Mrs. Moore was a member of Rehoboth Missionary Baptist Church. She leaves to cherish her loving memory, three children: Jimmie L. Moore(Ruth) Flint, MI, Ethel Woody Valley, AL, Bertha Johnson Lanett, AL. two sisters Millie Pearl Allen and Mary Wright, two brothers Charlie Wallace, Sr. and David Wallace, and a host of grand, great-grand, great-great-grandchildren, nephews, nieces, and cousins. 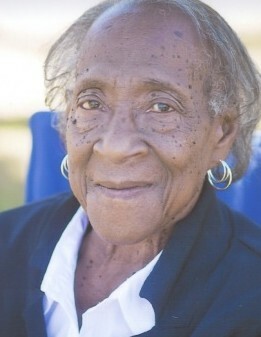 She also leaves to cherish her memory a special niece, Bernice Caldwell.